Mary, Mother of God, is honoured with an endless list of titles. Some, like Our Lady of Lourdes, link Mary to a place. Others, like Our Lady of Perpetual Help, reference the reasons we turn to Mary in prayer. Still others, like Star of the Sea, are poetic ways in which people express their experience of Mary’s beauty and grace. I think my favourite title for Mary, however, is Theotokos. Greek for “God-bearer,” Theotokos explains—in a way that is at once simple and powerful—the extraordinary role the young girl from Nazareth is called to fill. In giving birth to a child both human and divine, Mary’s position is unique in the history of motherhood, calling for exceptional circumstances. Of necessity, bearing the Christ child requires a woman whose soul is worthy of offering herself as the dwelling place of the coming Jesus, being a human tabernacle. It is for this reason that we celebrate the Feast of the Immaculate Conception, marking the reality that Mary herself was conceived without original sin, making her worthy of the honour of being the mother of God. While the rest of us are baptized to counter original sin, Mary was protected from it from the moment of her own conception; original sin never marred her soul. Often confused with the virgin birth of Jesus, the Immaculate Conception is in fact a celebration of Mary’s readiness, from the moment she was conceived, to fulfil the vital role in salvation history that she is asked to realise. Mary’s pure nature is the reason behind another of the names granted to her: the New Eve. Mary’s immaculate state brings to mind the beauty of Eve’s creation before the fall. Because Mary is free of the sin we inherit from Adam and Eve, Mary becomes the woman reflective of the perfect beauty of God’s creation. Furthermore, Mary’s willing acceptance of the mission Gabriel announces to her contributes to our redemption from that fall. In the spectacular passage known as the Magnificat, Mary declares, “My soul magnifies the Lord.” The feast of the Immaculate Conception celebrates that beautiful truth. 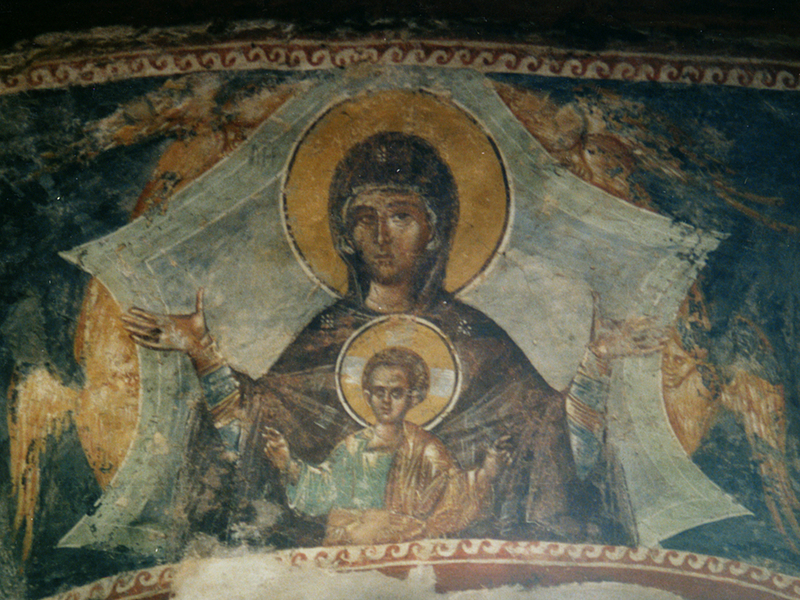 Here is the blog from Novalis’ Seeds of Faith on Mary as Theotokos.